When we lived in California, we lived in a small town in what we referred to as the high desert. The high desert is actually in the Mojave Desert and the name of that town is Ridgecrest. And since you have probably never heard of it, I’ve included this nice little map to show you where it is. Ridgecrest only exists because the government decided to put a Navy base smack dab in the middle of the desert in the 1940’s. A Navy base in the desert, ponder that! Ridgecrest is fairly isolated. 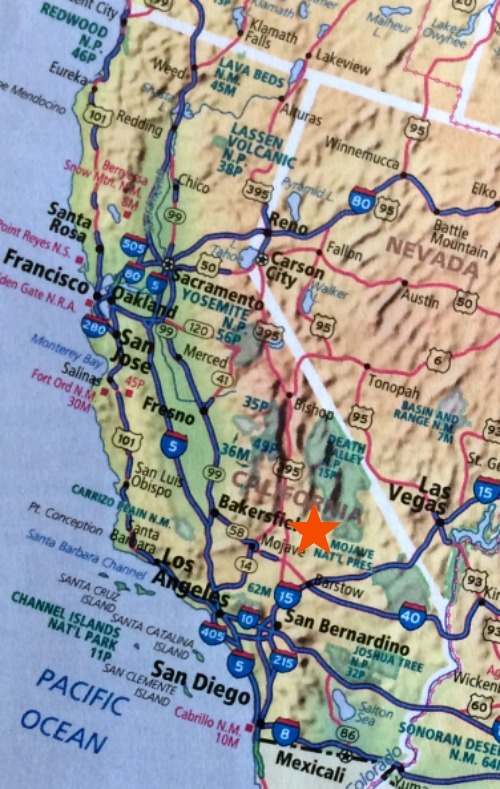 To shop at an actual mall you have to drive 90 minutes south to Lancaster or San Bernadino or over and through the Sierra Nevada mountains to Bakersfield. 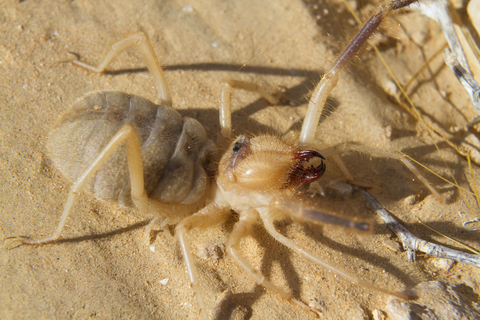 The desert is alive with snakes, lizards, scorpions, tarantulas, black widows, sun spiders, which are also called vinegaroons. They are without a doubt the ugliest bug you’ve ever laid eyes on, and just to prove it I’m showing you a picture. Moving up the food chain, there are jack rabbits, fox, coyotes, bobcats, owls, roadrunners (beep, beep) and various other birds. Oh, and we can’t forget the mustangs. The Navy base is very large and is home to a herd of wild horses, plus wild donkeys. There are also Native American petroglyphs in the rocky hills that lie within the bounds of the base. These are really amazing and I encourage you to check out this article that was in the Los Angeles Times: “To see these Mojave Desert petroglyphs, you first have to pass a Navy screening“. This is there introductory statement: “Welcome to Ridgecrest, CA. Rocks! 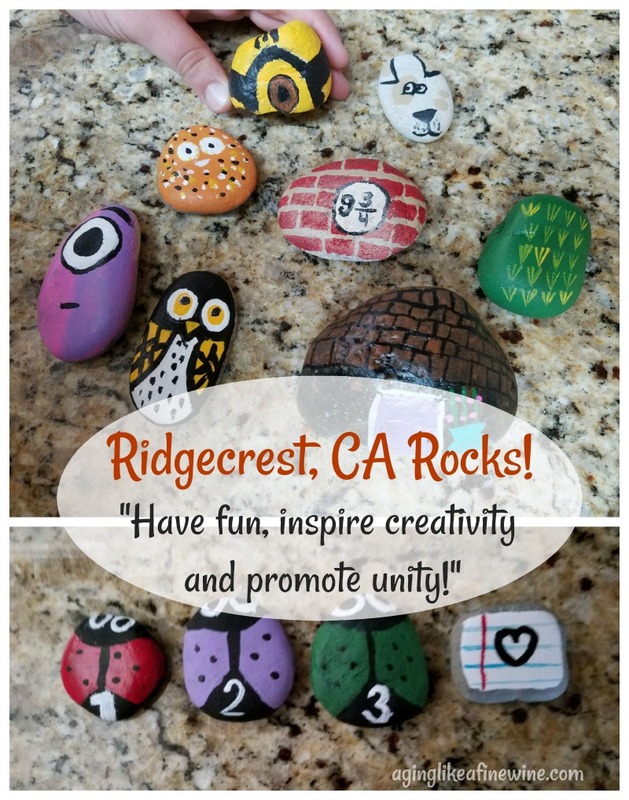 This group was created as a community forum for individuals who’d like to participate in painting, hiding and finding rocks in the Ridgecrest area. The goal is to have fun, inspire creativity, and promote positivity and unity in our community, as well as encouraging people to get out and explore the beautiful area in which we live. Anyone can participate, and it’s not difficult. Just find a rock, paint anything you’d like on it, whether that’s a picture, a positive message, or anything else, and then hide it in a public area to be found by someone else. Kids and adults alike are having a blast with this! My daughter and grandchildren have found, painted and hidden rocks. Their beautiful creations are in the picture above. So tell me, do you live in a community or neighborhood that might be inspired by doing something like this? P.S. One more interesting little tidbit of info: The highest point in the continental United States is Mt. Whitney. The lowest point in the continental United States is Death Valley and they are only 85 miles apart as the crow flies. From Ridgecrest it is 91 miles to Mt. Whitney and 121 miles to Death Valley. A land of contradiction! This post will be shared on the link parties found on my “Where I Party” page! I use affiliate links in some of my posts. 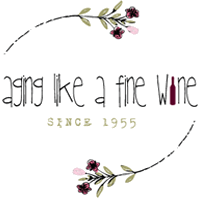 When you do your shopping through the links on this page, you help to support the blog at no cost to yourself. It’s much appreciated! what a fun idea! Great article Teresa! Thanks Nina! I thought it was a great idea and something fun for everyone in the community! This post is delightful! I loved imagining the peace of mid-dessert living, alongside so many unusual creatures! But the rock painting tradition is just too much fun! What a spirit of community it has created! I love the samples you’ve shown and wish there was something like that here – perhaps it’s my job to start it! I work in Kingsport, TN and they have a Kingsport Rocks facebook group. My son’s school painted rocks to hide as one of their art projects. So fun! It is such a idea! Now that school is out it’s something that parents can do with their kids too. Thanks for stopping by! My husband loves the desert, but I can pass on it! What a great way to get community involved and I found your post very interesting learning about the desert. Living in Australia, more than half of our country is desert and most of the population is on the Coast. I love learning about other places. I’ve been to LA but not to Ridgecrest! Thank you Teresa for linking up and co-hosting with me at the #BloggingGrandmothersLinkParty. I shared this post. Hey pretty lady. These inspirational rock clubs are everywhere. Maybe not literally everywhere, but in many many towns and cities. Roanoke Rocks, Tucson Rocks and Ridgrecrest Rocks. I follow, but haven’t yet participated. Maybe Ro and I will soon. Just search Facebook in your area to find the groups, it’s my understanding that if your town doesn’t have one, feel free to start one, but we should all share on single local page. Enjoy!! Hi Deedee, It’s so good to hear from you! I had never heard of it before, but it sounds like a fun idea, especially for kids. I love you too! What a great idea…and a sensational community builder. Thank you for co-hosting and for sharing this post. #BloggingGrandmothersLinkParty. Thanks Donna! Something to help keep the kids busy in the summer! This seems like such a positive, community-building activity. I hope it catches on all over the country. Thank you for linking up at #BloggingGrandmothersLinkParty. I’m sharing your link on social media. What a great idea for a community. I’ll bet they have a fun time. Thank you for sharing this post with #BloggingGrandmothersLinkParty. And getting so creative with those rocks! This is such a fun idea, Teresa. Thanks for sharing with us and co-hosting #BloggingGrandmothersLinkParty. I’ve shared on social media. Have a great day! What a fun idea! I love things like this that bring a community together and promote creativity. Thanks for sharing and for cohosting #BloggingGrandmothersLinkParty. What a fun idea and a great way to inspire a sense of community! !